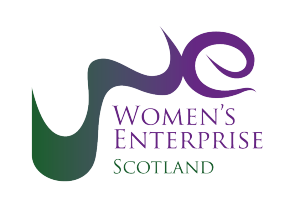 The conference will be attended by those involved in supporting businesses, practitioners, policy makers and academics - and the event will explore a number of themes relevant to women’s enterprise including the latest international research, best practice, future trends analysis and real life business experiences. While our focus is on identifying the actions which will form part of our next phase of global leading enterprise support delivery, the conference offers an unparalleled opportunity for those interested in women’s business leadership to learn and network in an international environment. Speakers include Julie Weeks, CEO of Womenable, USA who previously worked in an advisory role to the U.S. President and Congress; Anne Lise Kjaer, a leading futurist and author; Nora Senior, President of the British Chambers of Commerce; and Vicky Pryce, Centre for Economic & Business Research and former joint Head of the UK Government Economic Service. The conference will be opened by a keynote speech from a Scottish Government Minister. This important international event is open to both men and women and we anticipate a good gender mix. The format of the conference will be highly collaborative with many opportunities to exchange views and experiences and network with a number of diverse agencies and specialists.